These come in blue, purple, green and orange. Funky as they can be. Tobacco smoking pipe metal around 9cm overall length. Metal bowl, elbow and mouthpiece. 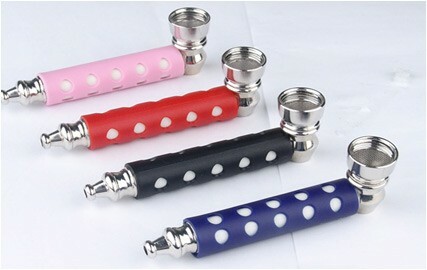 Rubber stem with polka dot design in assorted colors.